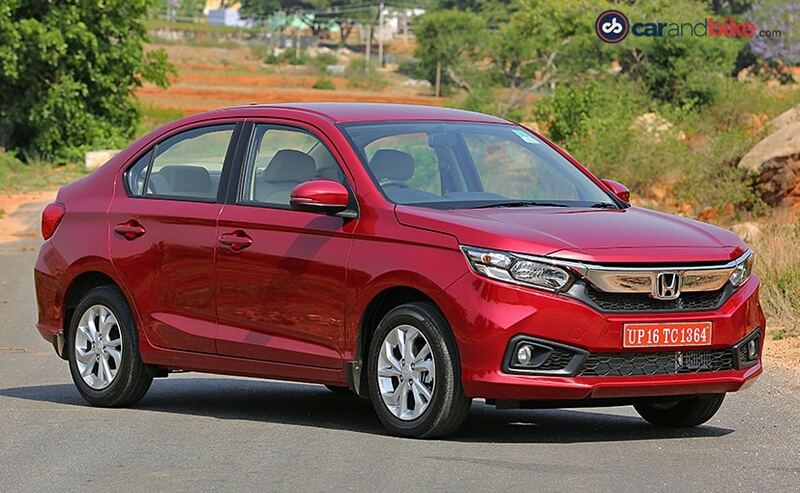 The new Honda Amaze has been launched in India with prices starting at Rs. 5.59 lakh. The new Amaze gets MT/AT option for both petrol, diesel engines. The long-anticipated new-gen Honda Amaze has finally gone on sale in India today, at an introductory price of ₹ 5.59 lakh to ₹ 8.99 lakh (ex-showroom, India) and we have all the key highlights from the launch event here. 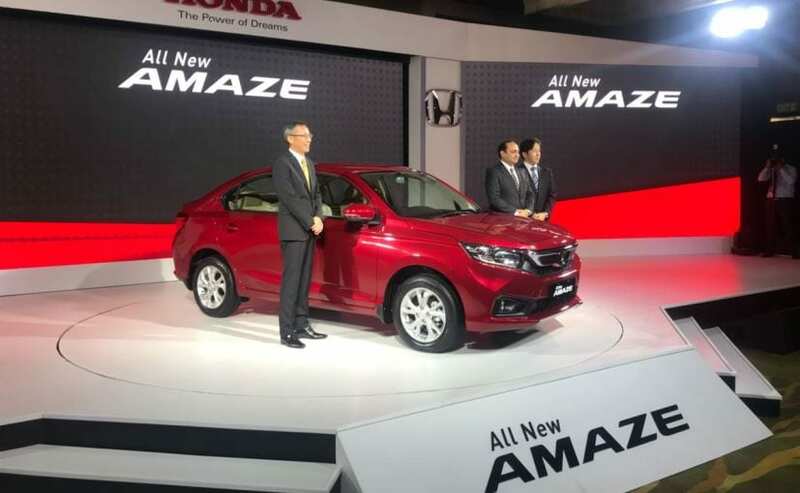 First unveiled at the Auto Expo, the second-generation Honda Amaze is built on the company's new advance platform and comes with all-new design and styling that give the car better proportions. The new Honda Amaze is primarily offered in four variants - E, S, V, and VX, which are further segmented into 12 iterations based on engine and transmission options. The car continues to rivals the likes of Volkswagen Ameo, Ford Aspire, Hyundai Xcent, and most importantly, the Maruti Suzuki Dzire. The petrol variant of the new Honda Amaze is priced in the range of ₹ 5.59 lakh to ₹ 7.99 lakh, while the diesel models are priced from ₹ 6.69 lakh to ₹ 8.99 lakh (all ex-showroom, India). 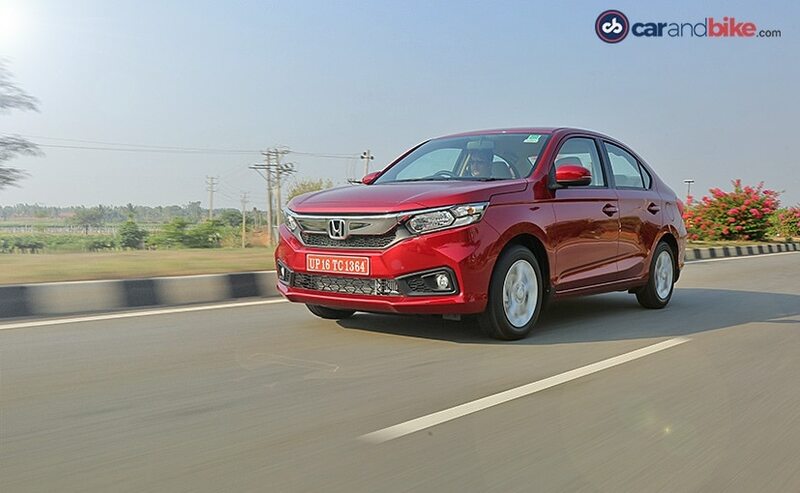 The introductory prices will be applicable for the first 20,000 customers of the new-gen Honda Amaze, post which Honda Cars India expected to hike the price of the car. Bookings for the car have been underway for over a month now, while production commence in early May. 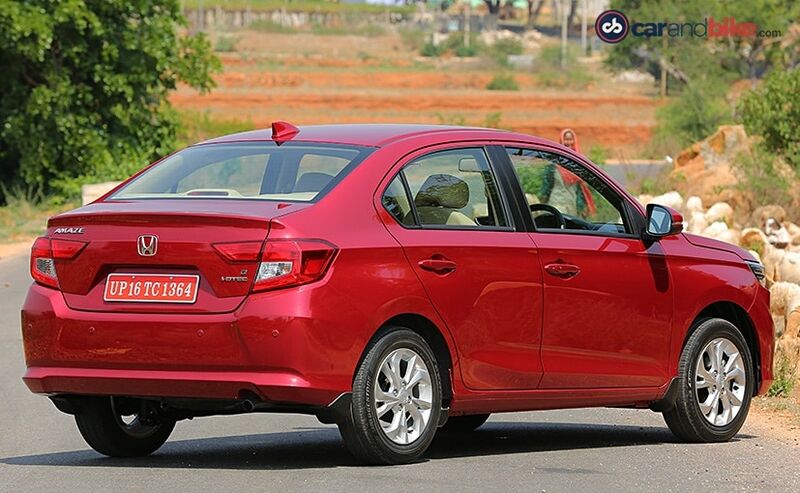 In terms of exterior design, the Honda Amaze is completely different as compared to the first generation. While the design is a little conservative, buyers might appreciate the balanced look the new car has. While you do get features like daytime running lights or 15-inch alloy wheels on the top of the line variant, the Amaze loses out on the likes of LED headlamps or even projector headlamps. Diamond cut alloy wheels like the one on the City could have made it a nicer package too. 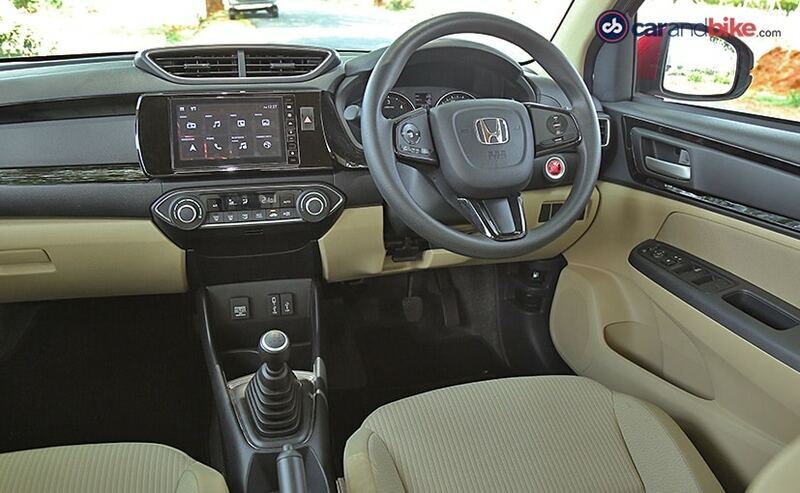 On the interior though, the new Honda Amaze is much nicer as compared to its predecessor. It now gets a larger 7-inch touchscreen infotainment system, called Digipad-2 with both Apple Carplay and Android Auto. It also gets a start-stop button, automatic climate control and as we mentioned earlier, the CVT variants get paddle shifters too. There is also more space in the cabin as compared to earlier and that is mainly due to a longer wheelbase. The new Honda Amaze also gets a fold-down central armrest for the rear passengers and rear AC vents. Under the hood, the petrol-powered Honda Amaze gets a 1.2-litre, 4-cylinder, naturally aspirated engine that makes 89 bhp of peak power and 110 Nm of peak torque. 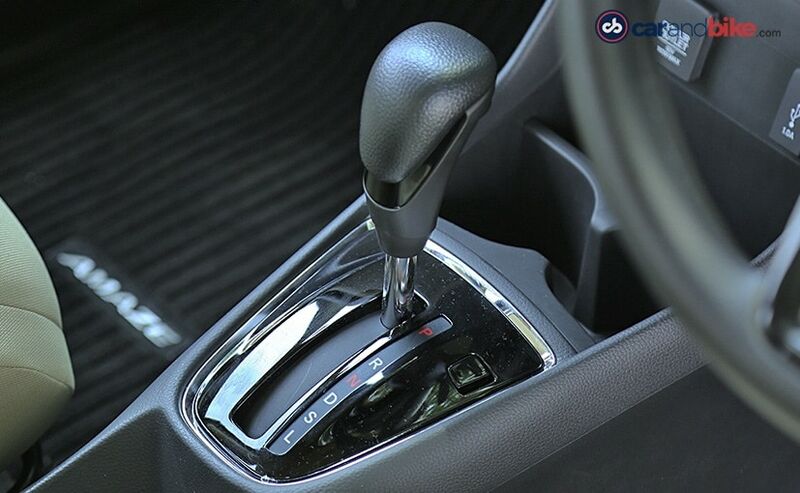 The engine is mated to either a 5-speed manual gearbox or a 7-step CVT automatic. The CVT also gets paddle shifters - a first-in-class feature in this segment. Fuel economy ratings for the petrol manual are at 19.5 kmpl while the CVT petrol is rated at 19 kmpl according to ARAI test figures. The more popular diesel, on the other hand, gets the tried and tested Earth Dreams Honda diesel 1.5-litre turbocharged engine. While mated to the 5-speed manual gearbox, the engine makes 99 bhp of peak power and 200 Nm of peak torque. The diesel manual also returns an impressive 27.4 kmpl according to ARAI test figures. Honda also offers the diesel Amaze with an automatic option. Unlike the Ameo (DSG) or the Dzire (AMT) however, the Amaze gets a CVT gearbox on the diesel too. That said, in order to ensure reliability, Honda has had to reduce both power and torque on the engine. While mated to the CVT gearbox, the 1.5-litre unit makes 79 bhp of peak power and 160 Nm of peak torque. The fuel economy for the new Honda Amaze diesel automatic is 23.8 kmpl. Honda offers unique warranty schemes for the all-new Honda Amaze with 3 years / Unlimited Km standard warranty, extended warranty of 4 and 5 years / unlimited warranty. The company also offers a special maintenance package offered at ₹ 3,500 for petrol model and ₹ 4,900 for diesel model, per year. The service interval remains unchanged at 1 year / 10,000 km.